Senator Coleman joined Hogan Lovells after dedicating more than three decades to public service. He was a student activist in the 1960s, Minnesota's chief prosecutor and Solicitor General in the 1970s and 1980s, and Mayor of St. Paul in the 1990s. He represented Minnesota in the U.S. Senate from 2003-2009. As a senior governmental advisor at Hogan Lovells, Senator Coleman counsels clients on a wide range of regulatory and government affairs issues. During his six years in the U.S. Senate, Senator Coleman served on the prestigious Foreign Relations Committee. He was Chair of the Western Hemisphere subcommittee and ranking member of the Near East subcommittee, working to foster closer ties with our hemispheric neighbors and protect America's interests in the crucial Middle East region. Senator Coleman co-chaired the Senate Bio-Fuels Caucus, leading efforts to establish the first ever national Renewable Fuels Standard, as well as tax incentives for a range of renewable energy technologies. He also used his position on the Senate Agriculture Committee to further advance renewable fuels. Committed to furthering innovation in medical technology, Senator Coleman co-chaired the Senate Medical Technology Caucus. He worked closely with cutting edge companies to help bring exciting life-saving technologies to the public. Senator Coleman also Chaired the Permanent Subcommittee on Investigations. Under his leadership, the Subcommittee identified more than $80 billion in waste, fraud, abuse, and potential taxpayer savings. As Mayor of St. Paul, he developed major public-private partnerships, including the return to Minnesota of a National Hockey League presence. 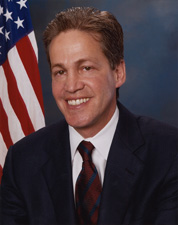 Senator Coleman serves as Chairman of the Board of the American Action Network, a center-right "action tank" located in Washington, D.C. He also sits on the Board of the Network's sister organization, the American Action Forum, a forward-looking policy institute dedicated to keeping America strong, free, and prosperous. Additionally, Senator Coleman serves as Chairman of the Congressional Leadership Fund, an independent expenditure SuperPac whose mission is to expand the House Republican majority. He sits on the Board of the National Endowment for Democracy and on the Advisory Council for the U.S. Global Leadership Coalition. David Frauenshuh Head of Frauenshuh, Inc a Minnesota commercial real estate firm.